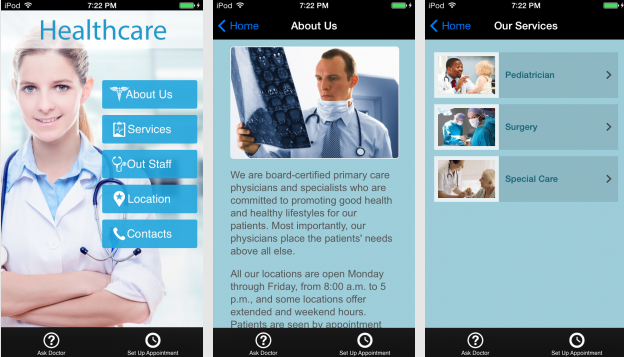 Whether you’re running a physician network, hospital, or doctor’s office, mobile medical apps are a required way to connect with your employees, patients and customers. Heck, you must have it for your medical organization to provide medical services from the hospital care providers, hospital emergency information, HR related information to your staff . In that case, iBuildApp has you covered. 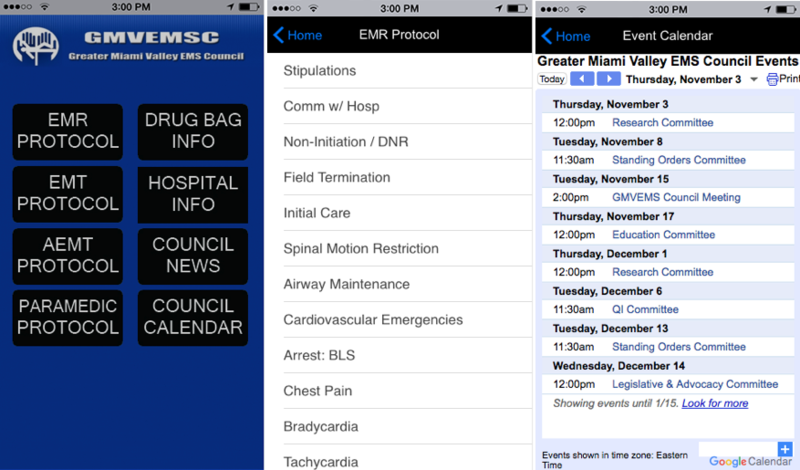 For example, EMS Council has a simple, yet beautiful, mobile app for its physician network in Ohio. To give you a refresher, The Greater Miami Valley Emergency Medical Services Council, Inc. (formerly the Montgomery County EMS Council) was founded in 1972. It is one of the oldest and strongest regional EMS associations in Ohio. EMS Council decided to generate a few medical apps for each of their divisions. The purpose of the Council’s apps is to coordinate the efforts of Fire / EMS / Private ambulance service pre-hospital care providers, hospital emergency department, staff and consumers to ensure the best possible pre-hospital medical care for the victims of sudden illness or injury. What Does the EMS Council App Look Like? These EMS Council apps are a great start, since they didn’t have to worry about developing your own app. We already did it for you. In fact, one could argue that you hardly have to complete any changes to make a good impression on your patients. 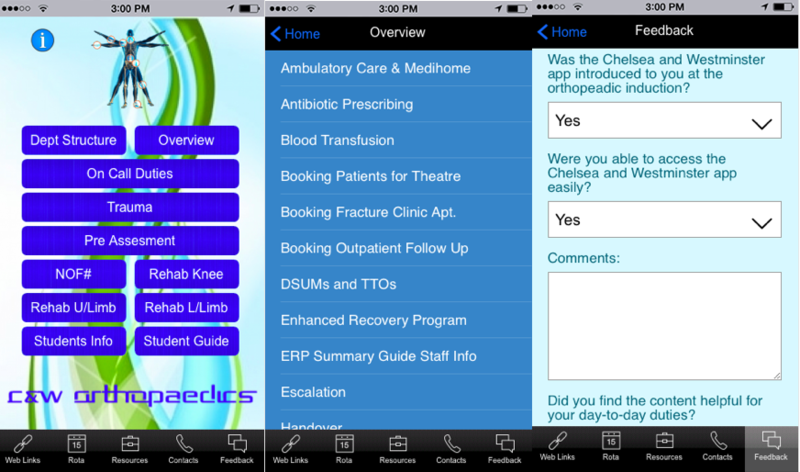 This app is a medical resource for Junior Doctors and Orthopedic Healthcare Professionals working at the Chelsea and Westminster NHS Foundation Trust Trauma and Orthopedic Department. Employment at the Chelsea and Westminster Hospital is required before registration to use the app will be approved. This is managed via registration and NHS Email verification once the app is installed. You select your organ system and then select the chief complaint — the last step is selecting the symptom. You are presented with various imaging modalities and the evidence behind them. 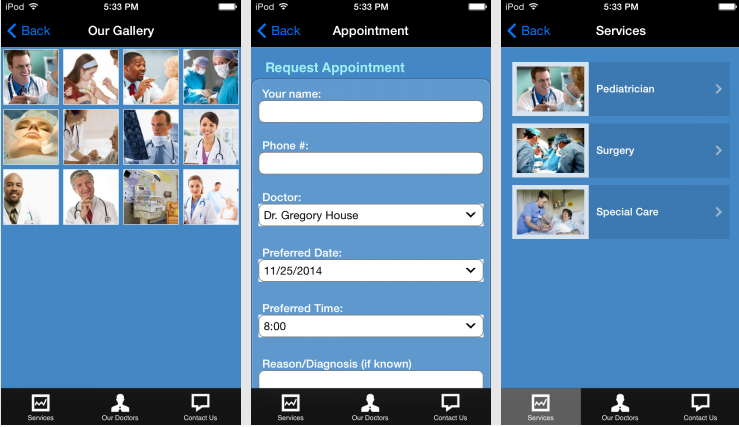 Healthcare providers has created thousands mobile apps through the iBuildApp platform in the last few years. They utilize their apps to guide physicians in selecting imaging modalities that provide the greatest clinical value at the lowest possible risk. The apps were created by physicians and hospitals that focuses on promoting evidence based guidelines and bringing cost effective care to the health industry. Whether you’re running an app for your pharmacy or a healthcare organization, everyone who comes to your medical app is going to want to understand what type of organization you’re running. 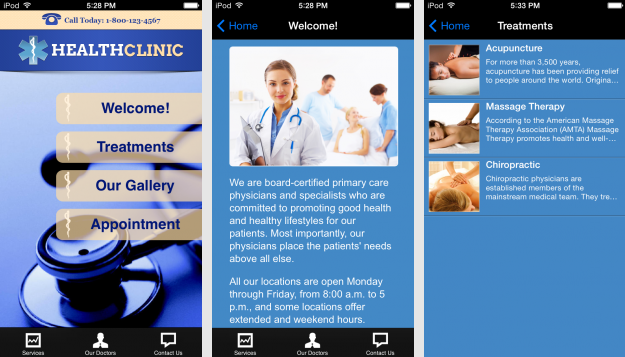 Therefore, most of the medical app designs have areas to fill in About Us information, along with an organized gallery for talking about your services. This module includes thumbnail images and categorized areas for people to easily click through. 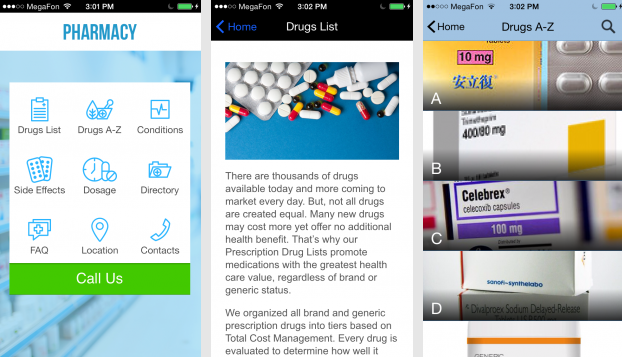 The pharmacy app designs are a little different from that of a doctor’s office or emergency room. 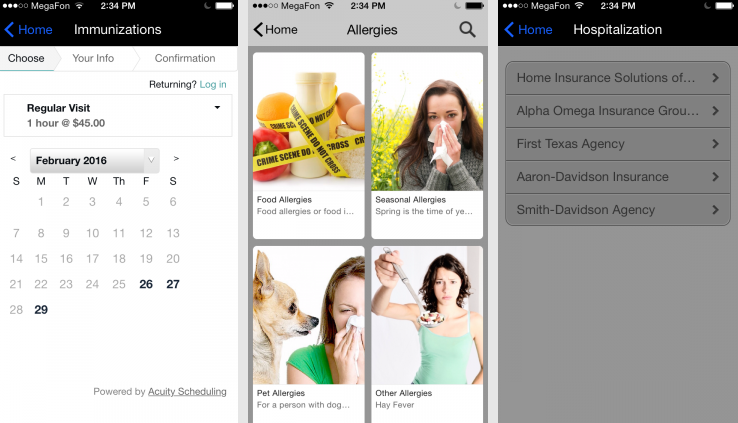 Since you’re providing help to customers, and not patients, it’s more of an informational and sales app. People will want to figure out the location of your pharmacy, and it’s wise to have some quick links to items like your phone number, email address and FAQs. Luckily for you, all of this is already inserted into the pharmacy designs. What’s more is that you can list the types of drugs you have available, organizing them in an alphabetical list with images, information, side effects and dosages. Conditions are aligned with the particular drugs, and you can include a directory for people to locate the types of drugs they need. As with all of the iBuildApp designs, they are meant to get you started quickly and professionally. We’re rather proud of the new medical apps, so feel free to play around with them, and let us know in the comments if you have any questions or concerns.